A new love is special and rare, but the world around Ellie and Miah doesn't see it like that. All they see is race: Miah is black and Ellie is Jewish. Will their love survive? An ALA Best Book for Young Adults. A BCCB Blue Ribbon Book. Born on February 12th in Columbus, Ohio, Jacqueline Woodson grew up in Greenville, South Carolina, and Brooklyn, New York and graduated from college with a B.A. in English. She now writes full-time and has recently received the Margaret A. Edwards Award for lifetime achievement in writing for young adults. Her other awards include a Newbery Honor, two Coretta Scott King awards, two National Book Award finalists, and the "Los Angeles Times" Book Prize. Although she spends most of her time writing, Woodson also enjoys reading the works of emerging writers and encouraging young people to write, spending time with her friends and her family, and sewing. 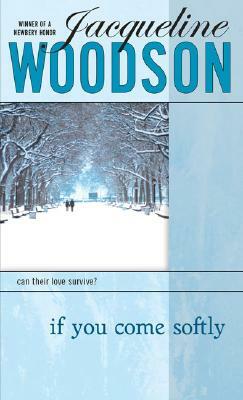 Jacqueline Woodson currently resides in Brooklyn, New York.